Storytelling Cafe is a feast of stories and Kitchen Garden Cafe is a feast of good things to eat and drink. 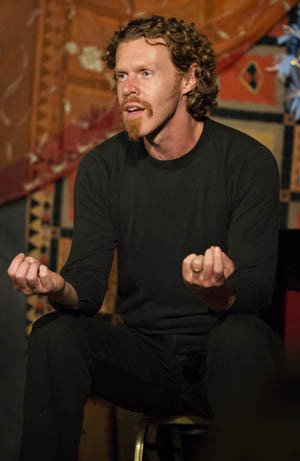 This month Storytelling Cafe welcomes international storyteller Giles Abbott. He will delight you with his poetic language and his rich silky speaking voice which can lull you into a relaxed mood or send a chill down your spine. a woman trapped on the seabed. In 19th Century England stands a ruined stately home and an unlikely visitor. He’s heard it’s haunted. He hopes it is. He has come to strike a deal with Death to win back someone Death should not hold. What will he offer in exchange? Evocative, moving & genuinely scary, this was one of the highlights of last year's Oxford Storytelling Festival.